In retrospect, this is a pretty amazing cover from 2014. They even had the MVP right. 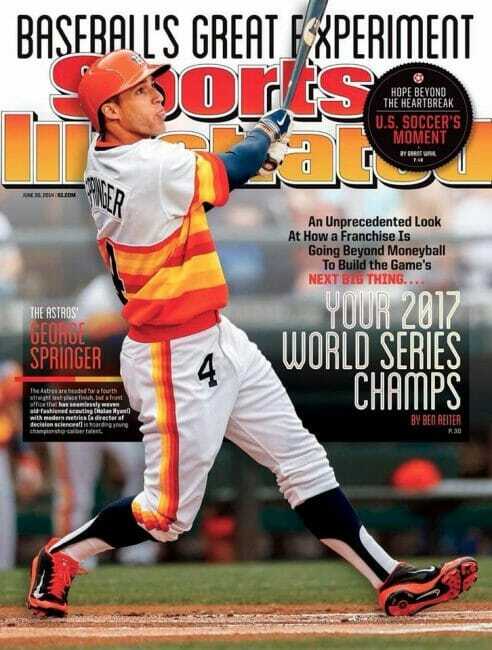 I will admit to some bias, having grown up in Houston, but I have always loved that striped Astros uniform. Game 5 was the most entertaining baseball game I ever saw, but probably not the best. The best probably would have to have things like pitching and defense too. The best game I ever saw was probably game 7 between the Yankees and the Diamondbacks back in 2001.